The Central Coastal Drive has sections that run along the Northumberland Strait where the sandstone cliffs are front and center. They are a beautiful sight. 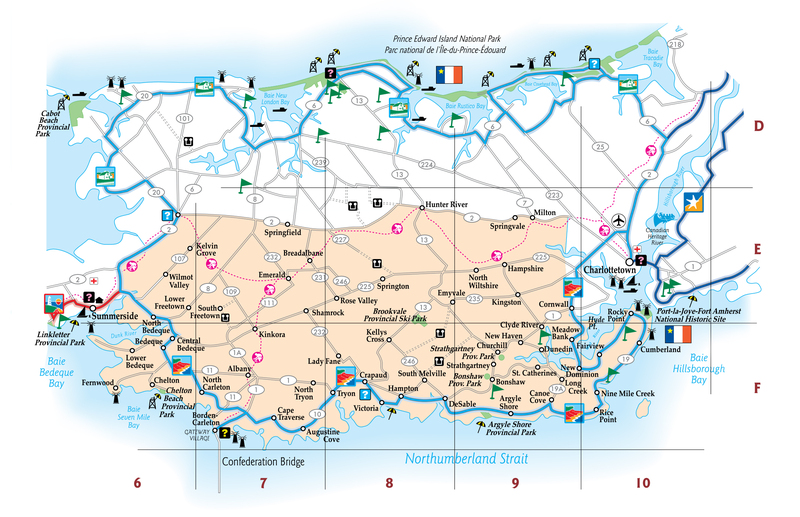 You’ll also pass the foot of the Confederation Bridge and some of the Island’s most incredible ocean views on the northern side of Prince Edward Island. 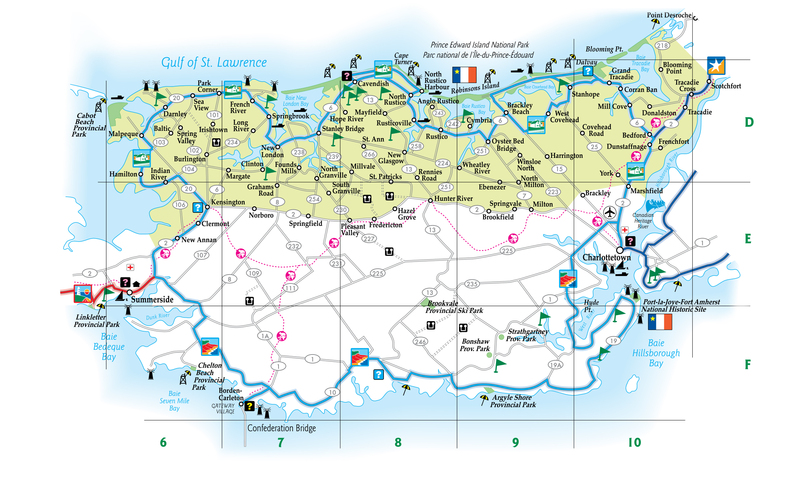 This drive is full of unique landmarks that you won’t want to miss on your Island vacation. To find out more, visit the Central Coastal Drive official website. The Central Coastal Drive highlights two different touring regions. The Red Sands Shore region is full of culture, outdoor adventure, and small villages. Green Gables Shore is bursting with beautiful beaches, lots of golf, and of course, Anne of Green Gables and Lucy Maud Montgomery! These two regions will give you a peak at life on Prince Edward Island, and just how amazing it can be.